Tonight on Person of Interest: "A House Divided"
CBS has released images and a description for tonight’s (May 6) episode of Person of Interest. 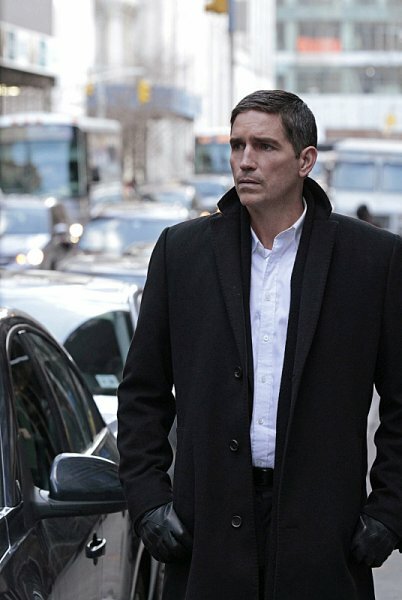 "A House Divided" -- When an unknown entity prevents The Machine from seeing the full picture of an impending catastrophic event, it sends the team five separate numbers to help them piece together the bigger picture, on PERSON OF INTEREST, Tuesday, May 6 (10:01-11:00 PM ET/PT) on the CBS Television Network. Pictured: Jim Caviezel Photo: Giovanni Rufino/Warner Bros. Entertainment Inc. ÃÂÃÂ© 2014 WBEI. All rights reserved. “A House Divided” – When an unknown entity prevents The Machine from seeing the full picture of an impending catastrophic event, it sends the team five separate numbers to help them piece together the bigger picture. Meanwhile, Root’s team of hackers arrives in New York, on PERSON OF INTEREST, Tuesday, May 6 (10:01-11:00 PM ET/PT) on the CBS Television Network.